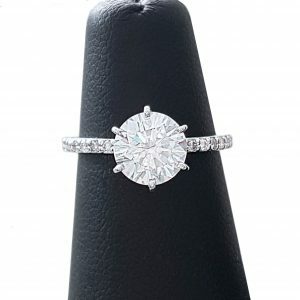 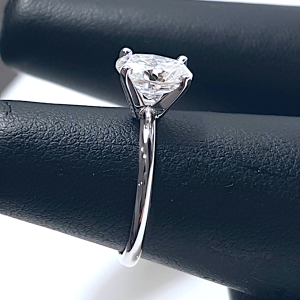 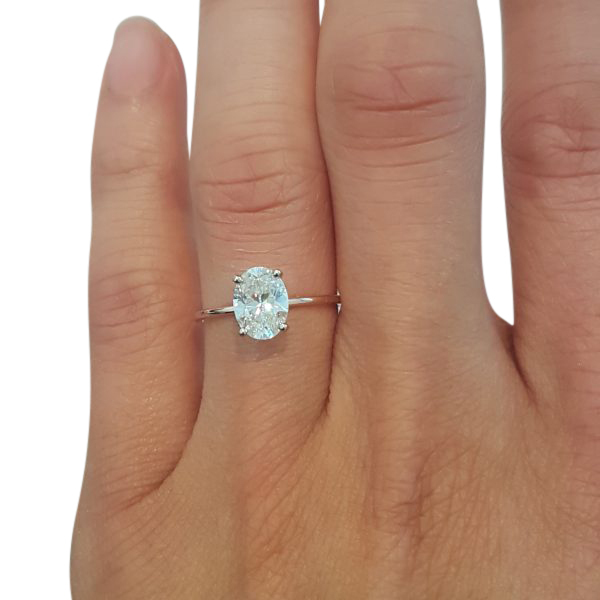 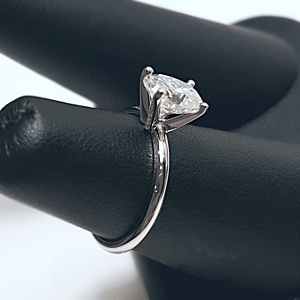 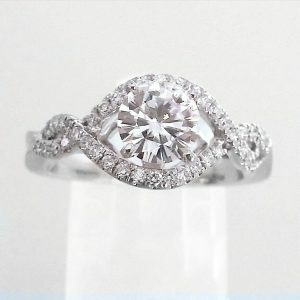 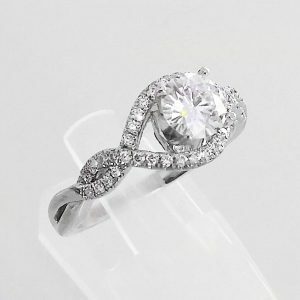 Naked Engagement Ring - Oval - My Moissanite - Custom Jewelry | Harro Gem Moissanite..My Moissanite – Custom Jewelry | Harro Gem Moissanite..
4 prong solitaire ring with a super thin 1 mm band; mounted with a stunning oval Harro Gem moissanite (colorless). 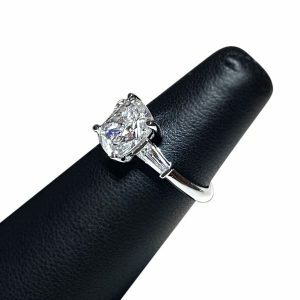 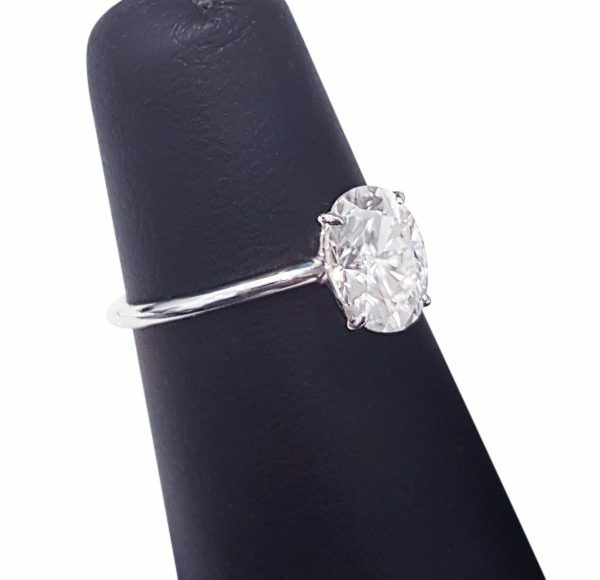 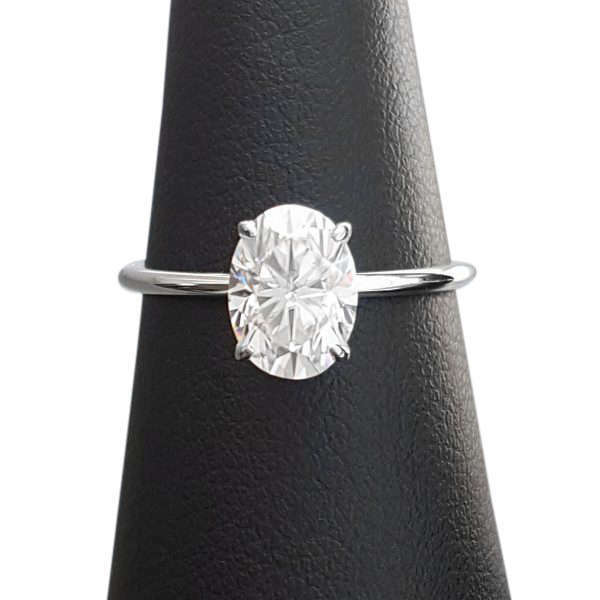 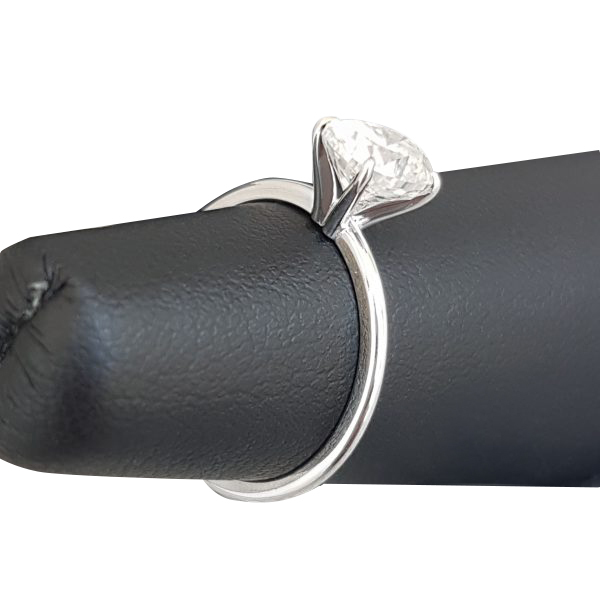 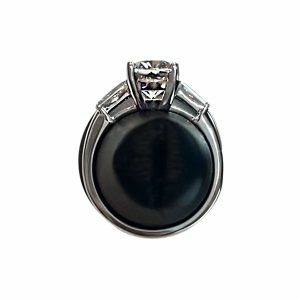 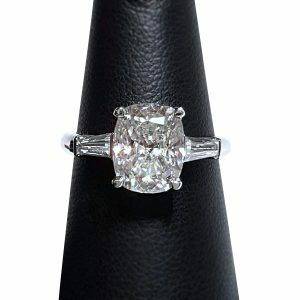 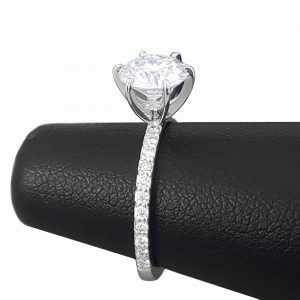 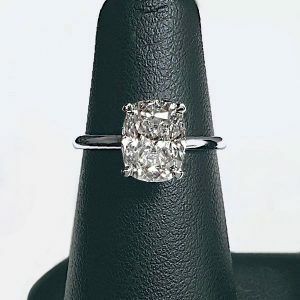 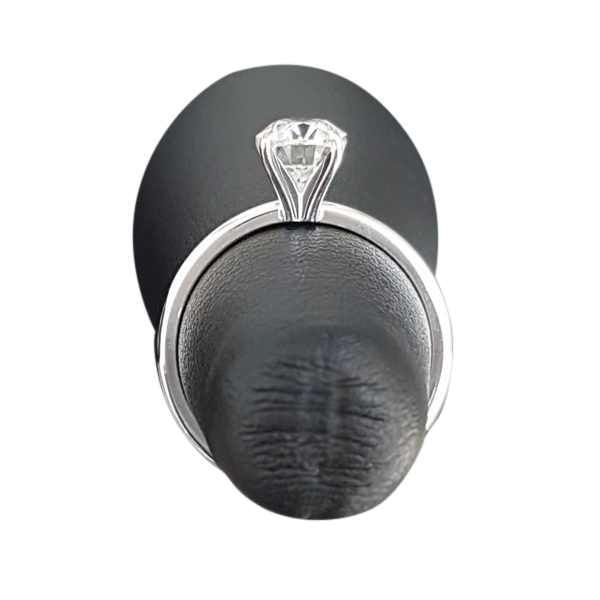 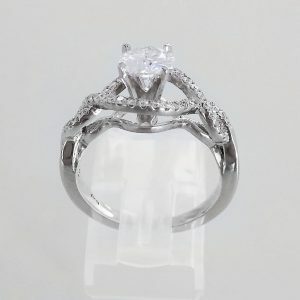 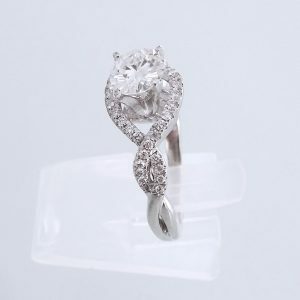 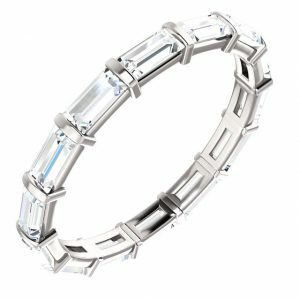 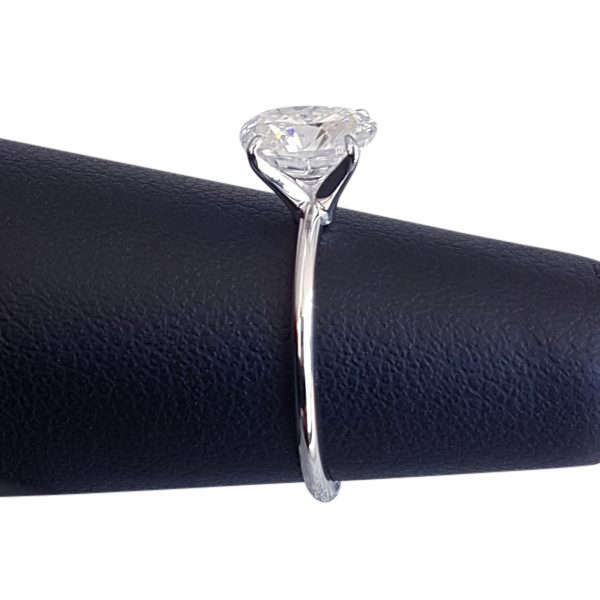 The completed ring weighs 1.4 grams with a 1 carat stone (shown). 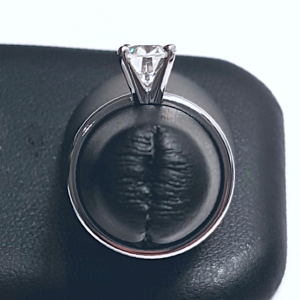 Being about half the weight of a penny, you won’t even feel it on your finger!